The student loan is the most common loan, which almost every student in the country has taken for their higher education. And this cost is quite high and is increasing day by day. Higher studies are pretty expensive which is not affordable by many people for which a student has to take loan to fill their college fees. Only 20% students’ parents are rich who don’t require a loan for their education, else the other 80% students need to take loan to complete their higher studies. Once you have completed your higher studies, then you have to pay toward the loan amount after a period of 6 months from graduation. Generally a graduate student should have $24000 on loan but usually they have more than $75000 in loan. No one can escape from these student bad credit personal loans and you cannot even file a bankruptcy for it. If in case you default in making the payment of your student loan then the government will take its money from your social security check. 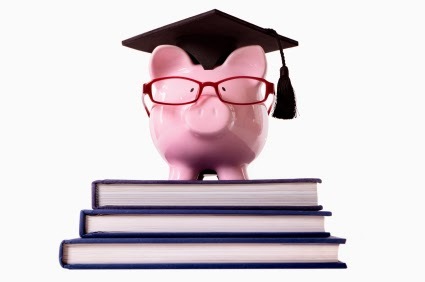 Here are some of the things which you should keep in mind to deal with your student loans. Track Your Loans: It is important for you to track all your student loans which you have taken for your studies so that you can plan out your repayment procedure accordingly. For tracking your loans, an exit counseling process is designed by which you can keep all records of your student loans. Only student loans you took by yourself will be tracked down in this, no other private loans or if your parent took a student loan for you will be tracked in this. You can track your loan on www.nslds.ed.gov. Check the Grace Period: The grace period is a time given to you for returning your loan after you graduate. This grace period is about 6 months from your graduation and after that you have to pay for your loan. These grace periods are different in different cases like 6 months for Stafford loans, 9 months in case of Perkins loans and private companies have different criteria for grace periods. Once the grace period is over you have to tell your lender about the repayment plan you are opting for and have to start making repayment for your student loans. Understand the Interest Rates: every plan has different interest rate criteria which are charged by the lenders. In the case of federal loans which are taken before 2010 the interest rate charged can get lower if you make proper timely payment for your loans. Understand Repayment Options: there are many repayment options for student loans which you have to understand and look for the plan which suits you. In this repayment plan, you have to pay an exact amount of money each month without falling till the duration of your loan gets over till your last installment. This total duration can be between 3 to10 years. This is a better option for people who are certain about their income and they can pay a fixed amount every month without skipping any installments. You will be charged with a fixed interest rate on the total loan amount and then the interest and the principal amount will be divided in equal amount for every month till the duration of your loan. In this plan, you start making payment of loan in small amounts for the first few years and when you come to know about increase in your income and you can pay more money now then you can increase your monthly payment. This will help you to lower down your rate of interest and the duration of your unsecured loans accordingly. In the Extended Plan system you can extend your loan from 10 to 25 years, which will provide you less monthly installments if you are unable to pay large monthly installments according to your previous repayment plan. But there are minimum criteria of $ 30000 loan amount at least. If your loan amount is below $ 30000 then you are not eligible to switch your loan to extended repayment plan. This plan is beneficial but some time it acts as a burden on your income as you have to pay more interest rate when you are opting extended repayment plan. This plan is good for paying lesser amount but bad for paying your loan for a longer period. In this repayment system the monthly payment you make to pay your loan depends upon your monthly income. If you are earning well or you are not the only earning member in your family, and everyone contributes money in the monthly expenses, then obviously you save a lot of money, then you can switch to income contingent plan in which some percentage of your monthly income will be taken as your monthly payment toward your loan. It can range between 5 to 20 percent of your monthly income. This system helps you in reducing your payment amount by extending the repayment period. You can give a valid reason to a lender for applying for forbearance repayment system. This will help if you are not paying your capital amount but you are not allowed to skip your interest amount. You have to be punctual in paying your interest otherwise an unpaid interest amount will be added to the total balance which has to be paid later. You are in college for at least six months. You have some economic problems. Like forbearance, you are still responsible for paying interest on the loan while it's in deferment.